This is Jim Breitfeller's journey into the Maze of Melanoma. Jim Breitfeller has gathered medical information for the patient and the caregiver. As Lance Armstrong would say "Lets stand Up to Cancer" Jim's Battle with the Beast July 2005 to present. 4/11/2008 On the Road again to Pittsburgh!!!! Monday, We will make another trip down to the Hillman Cancer Center in Pittsburgh. My appointment is at 11.20 am so we can leave Rochester at a reasonable time in the morning. The trip as you know takes 5 hours if there are no delays. We may stay over night if my fatigue sets in. I am looking forward to seeing Dr Kirkwood to get any update/recommendation he has for me. For now all I can do is take one day at a time and enjoy LIFE. 4/08/2008 Good News on my birthday !!!! We finally got the results of the CT scans.There is a Stable 3 mm right lower lobe pulmonary nodule. Image is unchanged from last Scan. Also the ones on my back are also stable. I still have my bouts with fatigue but I am fighting it with sheer will power. All it takes is a positive attitude. SOooooooooo, I am good to go for another two months which will bring us into late spring. Yahoo!!!!!!! The Diabetes is under control and I have lost another 5 lbs. Look out, HERE I COME. 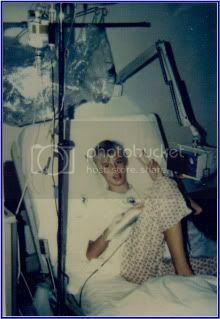 This Blog is dedicated My Brother Kenny B. who passed away in the late 1970's with Cancer before the Internet. It was he, who showed me How to live and give back. He was wise beyond his years. The information contained within this Blog is not meant to replace the examination or advice of your Oncologist or Medical Team. The educational material that is covered here or Linked to, does not cover every detail of each disorder discussed. Only your physician/Oncologist can make medical decisions and treatment plans that are appropriate for you. But, An Educated Consumer is a Smart consumer. Just to let you know I posted the first draft of the Melanoma and the “Magic Bullet” (Monoclonal Antibodies). on Melanoma Missionary In the Shared File Section. you can download it for 19.95 (Only kidding) it is Free for the taking. It is 33 pages long and may help you in your quest for the Yellow Brick Broad. Just to let you know it is only the first draft. Revisions are sure to come. 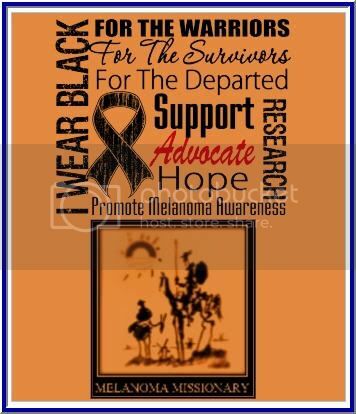 I wanted to get it to the people that need it the most, the Melanoma Patients. IL-2 prevents the spontaneous apoptosis of the CD4+ CD25+ Treg cells. It has been reported that patients with multiple advance-stage tumors have elevated levels of Tregs within the tumor microenviroment.20 Interluekin-2 is the survival factor for CD4+ CD25+ Treg cells.21 If the addition of IL-2 is on or before the maximum propagation of the CD4+ T cells, the Tregs population can increase 5-fold in a 96 hour period based on certain growth mediums. By controlling the addition of the endogenous IL-2, one has a knob to turn and can lead to the control of the expansion of the Tregs. When you combined this control with the anti-CTLA-4 blockage, you can shift the balance of the immune response. Now here is the catch. The maintenance and function of the CD8+ T-cells require CD4+ cells which secrete IL-2. So we don’t want to deplete the CD4+ cells, we want to control the expansion of the Tregs which are a subset of the CD4+ cells. It has been postulated by some researchers that the Anti-CTLA-4 blockage also suppresses the Treg function in a different mechanism. By using IL-2 as the rate limiting factor, we can suppress the CD4+ CD25+ Treg cell expansion by controlling the concentration and timing of the Inerluekin-2 at the tumor microenvironment. Clearly in a clinical setting, timing, dose, and exposure to these drugs play a major roll in the immunotherapy, and can have dramatic effects on the outcome. All it takes is that one magic bullet to start the immune reaction..
"We continue to see a high rate of clinical responses in our cell transfer immunotherapy treatments for patients with metastatic melanoma", Dr. Rosenberg said. "We are actively seeking patients for these trials and any note of that on a patient-directed web site would be appreciated." If you would like to apply for his trials, here is the website and information. The Melanoma Research Alliance has partnered with Bruce Springsteen, the E Street Band, and the Federici family to alleviate suffering and death from melanoma. Please view Bruce Springsteen’s public service announcement inspired by Danny Federici. Danny was the E Street Band’s organist and keyboard player. He died on April 17, 2008 at Memorial Sloan-Kettering Cancer Center in New York City after a three year battle with melanoma. Join the Relay for Life!!! I’ve decided to take a stand and fight back against cancer by participating in the American Cancer Society Relay For Life® event right here in my community! Please support me in this important cause by making a secure, tax-deductible donation online using the link below. To donate on line now, click here to visit my personal page. CELEBRATE the lives of those who have battled cancer. The strength of survivors inspires others to continue to fight. REMEMBER loved ones lost to the disease. At Relay, people who have walked alongside people battling cancer can grieve and find healing. FIGHT BACK. We Relay because we have been touched by cancer and desperately want to put an end to the disease. Whatever you can give will help - it all adds up! I greatly appreciate your support and will keep you posted on my progress. Turn off Music before you "Click to Play"
How Skin Cancer Develops by "About.com : Dermatology"
Delcath is actively enrolling patients in a Phase III clinical trial testing its proprietary drug delivery system, known as Percutaneous Hepatic Perfusion (“PHP”), with melphalan for the treatment of ocular and cutaneous melanoma metastatic to the liver. Orphan drug designation, when granted by the FDA’s Office of Orphan Products Development, allows for up to seven years of market exclusivity upon FDA approval, as well as clinical study incentives, study design assistance, waivers of certain FDA user fees, and potential tax credits. Dr. Rosenberg Has a New Clinical Trial. Our latest treatment has a 72% objective response rate with 36% complete responses. We are currently recruiting patients for our latest trial. Is there some way to post this “Call for Patients” on the web site? The news headlines shown above for Melanoma / Skin Cancer are provided courtesy of Medical News Today. Get The Research You Been Looking For!! Get the The New England Journal of Medicine: This Week's widget and many other great free widgets at Widgetbox! Clinical Care Option Oncology "Melanoma"